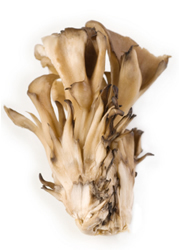 Maitake helps to protect and support the liver and can lower blood pressure. Mushroom extracts can also have a long term beneficial effect on blood-glucose levels, and may also be useful for weight loss. Preparation Methods & Dosage :Maitake is an edible mushroom that may be added to cooking, or taken as a tea. Encapsulated products and formulas containing higher levels of polysaccharides can be used in the amount of 3 to 7 grams per day. In the Kitchen: Maitake mushrooms are delicious, mild and a great addition to your morning omelette. Traditional Chinese Medicine Traditional Eastern medicine values maitake as an adaptogen, an aid to balance out altered body systems to a normal level, especially the immune system. Fruit: The fruiting body rises up from a underground tuber-like structure, about the size of a potato. 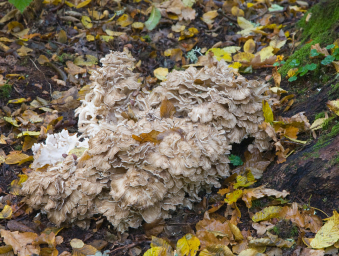 Maitake mushrooms are very large, can grow up to over 50 pounds, occurring as large as 60 cm. The small multiple grayish-brown caps are fused together in a clusterand are often curled or spoon-shaped,overlapping with wavy margins and 2-7 cm broad. The word maitake is literally translated from Japanese as "dancing mushroom." According to herbal folklore, it was so named because in ancient times people who found maitake could exchange it for its weight in silver, leading to their dancing in celebration. Hoffmann, David (2010-12-15). "Medical Herbalism: The Science and Practice of Herbal Medicine". 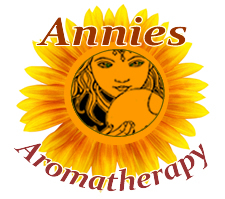 Healing Arts Press. Based upon in vitro, in vivo, and some human studies, the mycopolysaccharides found in medicinal fungi usually simply called ß-glucans, appear to have immunomodulatory, antitumor, antimicrobial, lipid-lowering, and glucose-regulating properties.